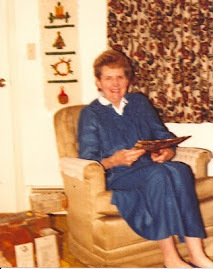 Grammy Gertie's Recipe Box: Super Christmas Brunch! Since next weekend will be spent with family, this will be the last post before Christmas -- but we're making it a big one! If you're still planning your menu for Christmas, perhaps this can serve as a guide. 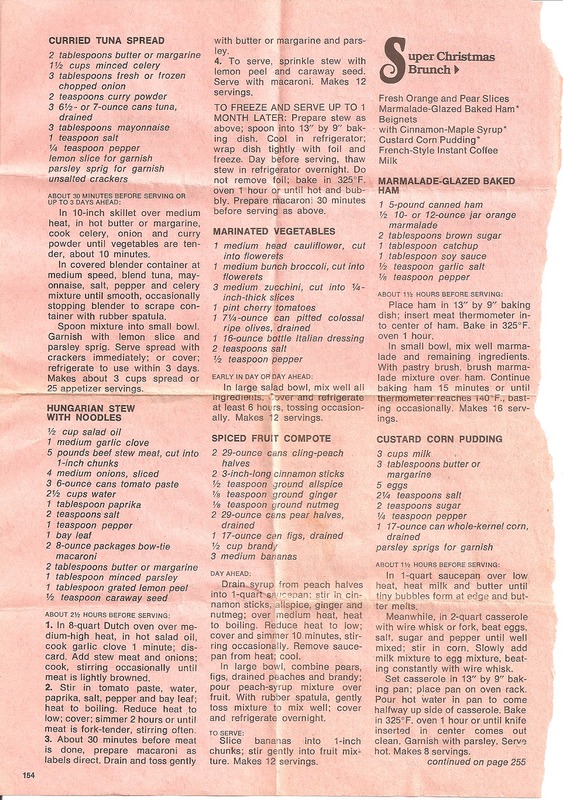 We unfortunately only have the page for two of the items listed (though orange and pear slices, and coffee hardly require a recipe). From the Treat family to yours, have a very Merry Christmas! -place ham in 13" by 9" baking dish, insert meat thermometer. -bake at 325 degrees for 1 hour. 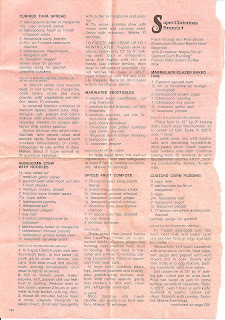 -mix marmalade with remaining ingredients, and brush over ham. -bake an additional 15 minutes, or until the thermometer reads 140 degrees. -In a saucepan, heat milk and butter over low heat. -In a separate casserole dish, whisk in eggs, salt, sugar and pepper, then stir in corn. -Slowly pour the hot milk over the corn mixture, and continue stirring. -Place casserole dish in pan of water. Bake at 325 degrees for 1 hour until firm.